And the worse is to ask them to write a post about that. How can someone differentiate between their own kids? Pick our favourite? There is no way I am going to do that. 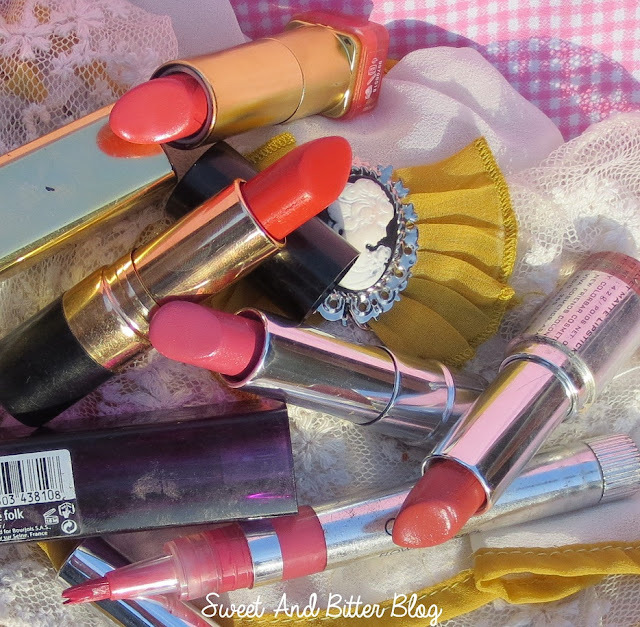 So, when Sheetal tagged me for ‘Top 5 Lipsticks’, I was bewildered. How can I choose? Then, I did a simple thing – include a filter. So, here are my Top 5 Lipsticks that I have for more than a year and still in use every day. 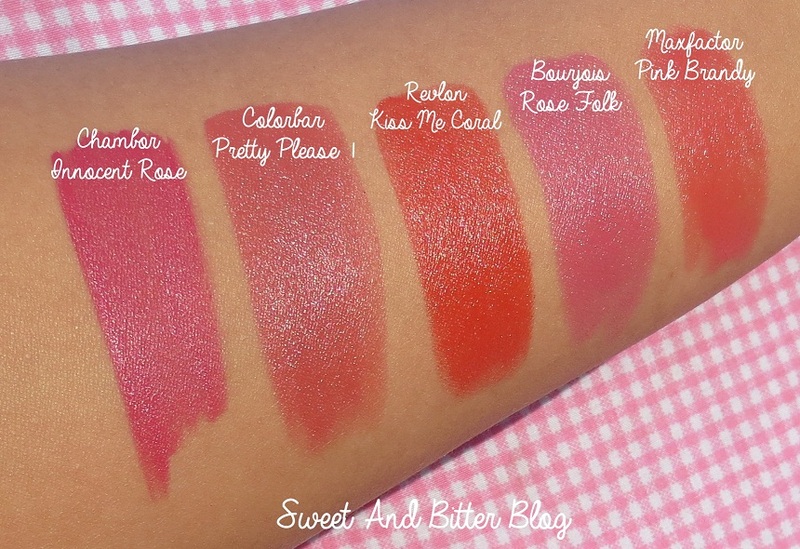 Even with the filter, I had 8 lipsticks but in the end I choose the ones I had for longer time or used more. Chambor Flowing Lipstick Innocent Rose - I discovered this at Mehek’s blog. And I am gonna be indebted to her for my life for introducing me to this one color. The formula is non-drying and stays on for entire day even with food. I wear it on days I know touch-ups is not feasible and I have to look good thought-out.Sadly, this is the only good color for me from this range as rest are maroons and dark plums. 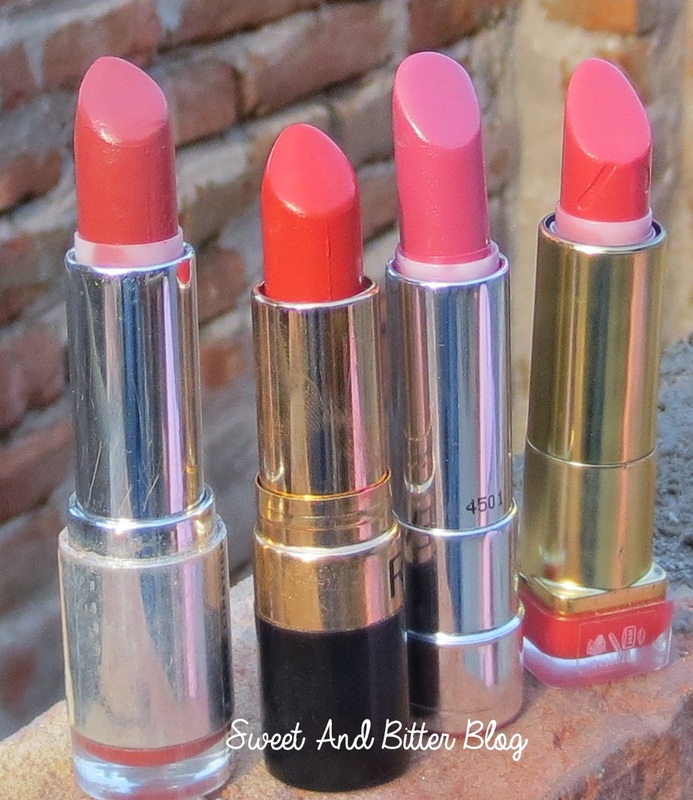 Now writing this, I realize that I am yet to explore the other lipstick ranges from Chambor (Mental Note – Check Chambor counter on the next visit to Mall). Colorbar Pretty Please 1 – It looks a bit brown on the bullet but turns into a beautiful modern matte peach pink which adds a glow to my face. Love. Love. Love. Does not last very long. My default choice when I am running errands. 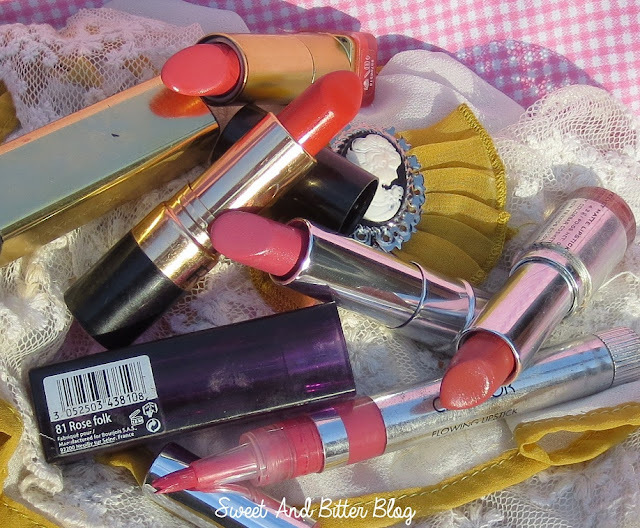 Revlon Kiss Me Coral – My favourite coral. I cannot get over this. More here and here. Maxfactor Pink Brandy – The fact that it never leaves my makeup bag says it all. My everyday need. More here. 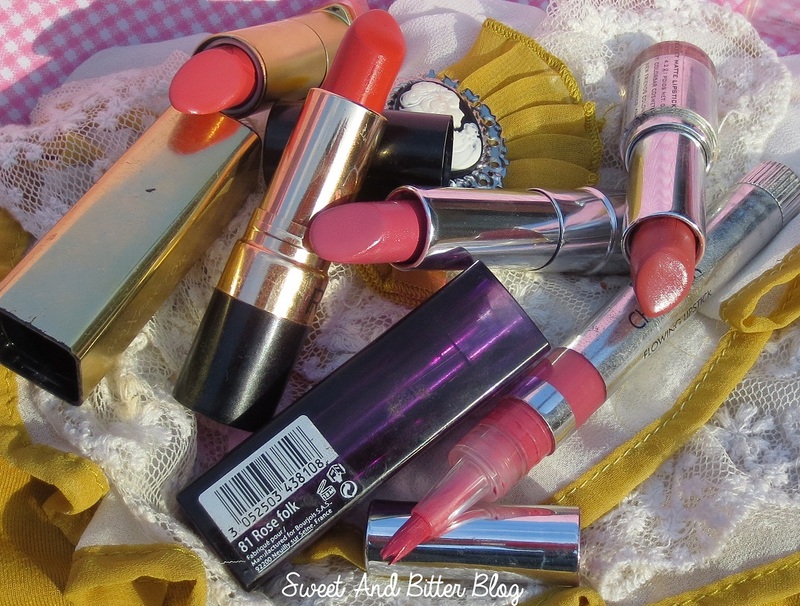 Bourjois Rose Folk – This is the lipstick which made me realize that I can wear pastel or bluish pinks. How can I leave it behind when this motivates me all the time to try something different. More here. More than a year back, I was not confident to wear bright neons or reds as much as I wear them now. So, the list does not have any. I hope you enjoyed the post and the picture. I am having a lot of trouble these days to click pictures for blog as it is raining all the time. I think (meanwhile) I will do some posts on nice hangout joints of the city. What say? Some posts like Caramelle or Paris Cafe? Thanks to Sheetal for tagging me. You can check her blog here.